Recruitment agencies are facing a period of high demand right now, as statistics from the third quarter of 2015 revealed that job vacancies have grown by 20% compares with 2014’s figures. The increased number of vacancies is putting recruitment agencies under pressure to perform – and RIDA can help recruiters to cater to this demand, with a consultative service that helps directors to develop their recruitment agencies and unleash their full potential. 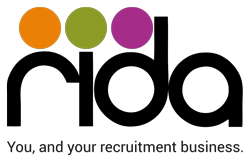 RIDA has just one aim – to assist recruitment businesses owners in growing and developing their own recruitment firms. With a set of personally developed programmes and strategies designed to help fulfil that exact brief, RIDA can help recruitment agencies to expand and grow during this time of high pressure, increasing their own profits and widening their reach within the industry. Helen Reynolds, Chairman of RIDA, says, “At a time when the UK jobs market appears to be in recovery, recruiters are coming under increased pressure to perform, with plenty more job vacancies for them to fill. Here at RIDA, we can help them to cope with that increased demand. We can assist organisations as they identify their strategy and create the journey map that’s right for the business and its owners – all the while ensuring the business has the tools and support it needs to grow. The roles that have been most in demand throughout Q3 have been marketing professionals, with advertised roles up an incredible 59%, followed by legal roles at 48% and secretarial support at 41%. Vacancies were up 15% in London and 7% in the North West – and all of the statistics compound the skills shortage that many industries are facing, especially in the worlds of finance and accounting. RIDA offers a multitude of different services for start-up recruitment agencies and longstanding recruitment providers alike. As well as helping the agencies to blossom with savvy advice from recruitment professionals, RIDA can help directors formulate exit strategies, and can even assist with recruitment agency funding if necessary. A range of creative services are also available to ensure agencies create the right impression, with social media offerings, a dedicated PR team and a web design service that helps optimise recruiters’ online presence.